When dealing with your stomach and issues with digestion‚ it's best you know exactly what to take to make you feel your best. Using mysterious blends of nameless products may end up doing you more harm than good- you are probably better off taking a supplement that has the ability to help you feel better while supplying you with products you can see and learn about. 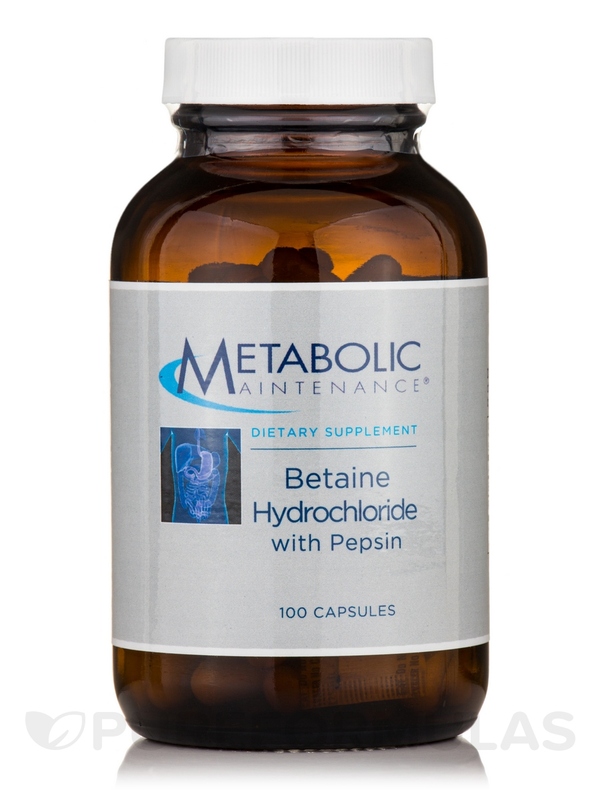 Betaine Hydrochloride with Pepsin by Metabolic Maintenance is a powerful and effective dietary supplement. 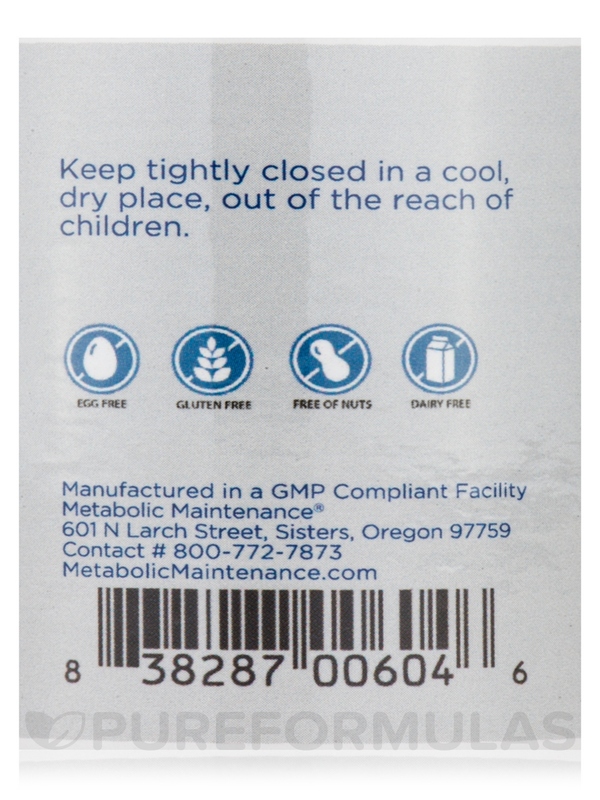 Not only can it help support normal protein digestion‚ but its ingredients are limited to two‚ both found on the front of the bottle- just Betaine Hydrochloride (HCl) and pepsin. The digestive capabilities of the stomach can be distressing‚ especially when they cause you pain. 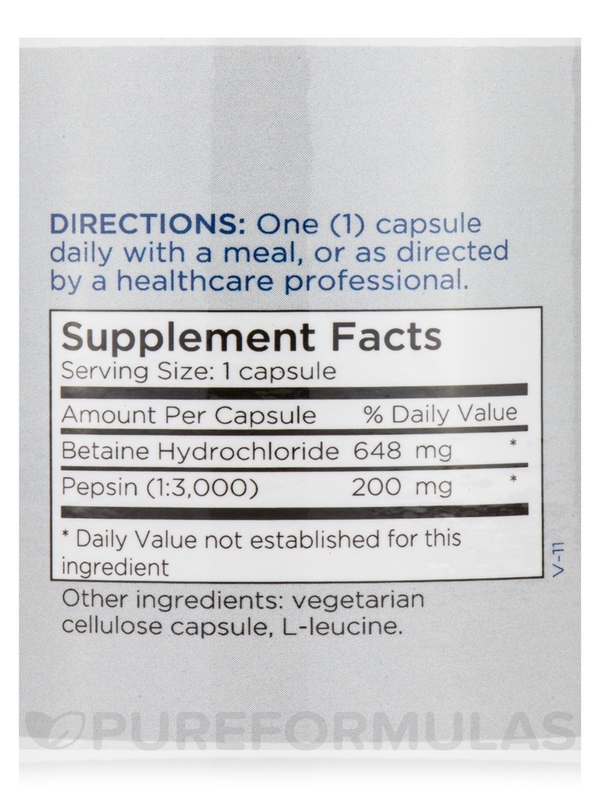 The formula of Betaine HCl with pepsin aids in the protein digestion system while removing common symptoms of excess acid. By providing for your own personal digestive support‚ you can protect yourself from the possibility of neurotransmitter imbalances or lingering feelings of tiredness. Betaine hydrochloride‚ an organic compound converted into various salts‚ combines with the pepsin‚ an enzyme released in the stomach that helps with food degradation by creating peptides. 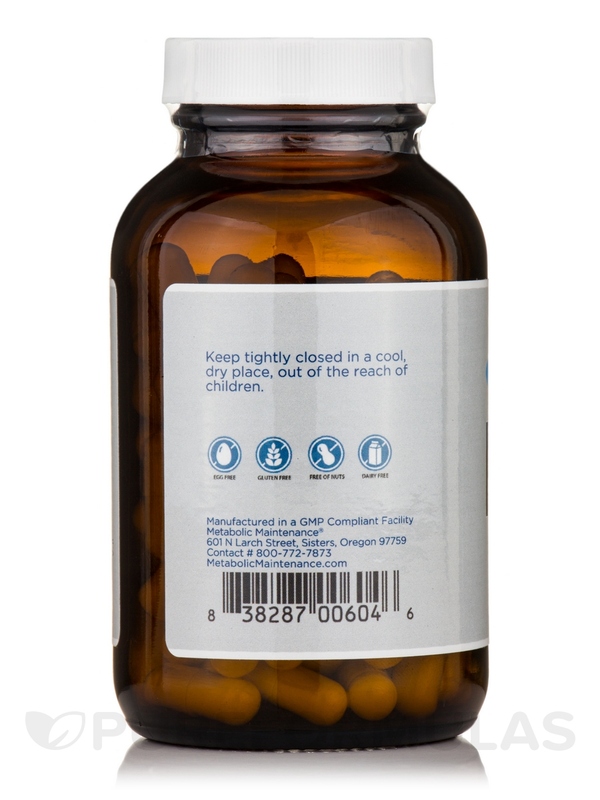 Each 100 capsule bottle of Betaine Hydrochloride with Pepsin by Metabolic Maintenance should last for approximately 3 months at the recommended dosage of 1 capsule a day‚ or as recommended by a healthcare professional. 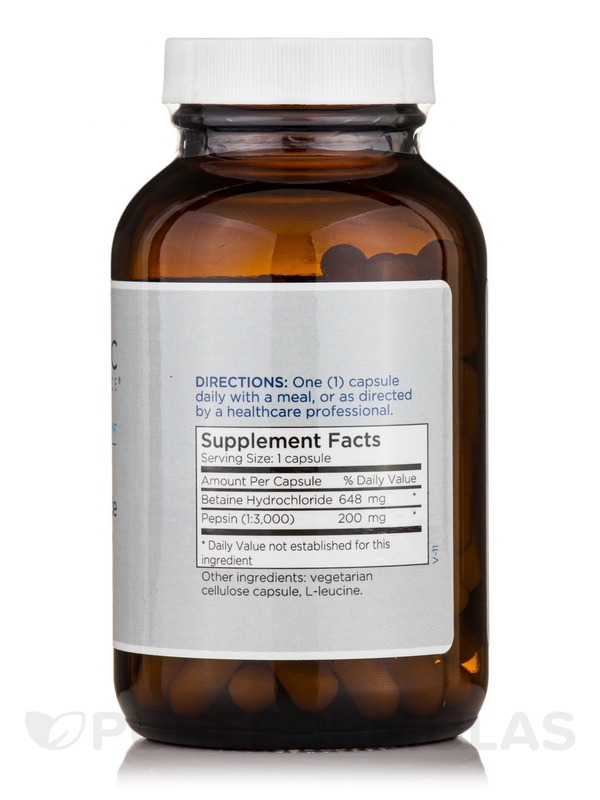 This supplement is best taken with a meal as a dietary supplement.